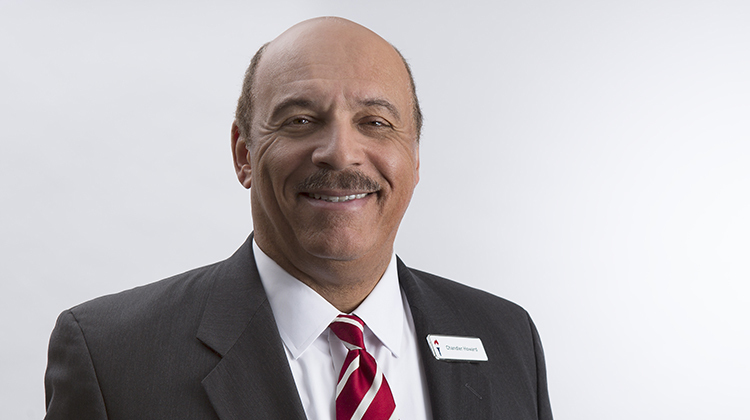 Middletown, CT - Liberty Bank, Connecticut’s oldest bank, today announced that Chandler J. Howard, President and Chief Executive Officer, will retire at the end of the year. Howard has held this position since joining the Bank in 2007. “On behalf of the entire Board of Directors, I would like to express my sincere thanks and appreciation to Chandler for all he has done to advance the Bank over the past decade. His steadfast leadership has resulted in tremendous growth while also nurturing an environment of teamwork and volunteerism that is unmatched in the industry,” said Mark Gingras, Chairman of the Board. More than 10 years ago, Howard shared his vision for Liberty Bank’s future – To Become the Most Admired Company in Connecticut, which resonated ever since. During Howard’s tenure, Liberty Bank has grown its assets from $2.7 billion to $4.8 billion, expanded its physical footprint from 34 to 55 full services branches, completed three bank acquisitions, rolled out new technology and capabilities, and has been named a Hartford Courant Top Workplace six years in a row and the #1 Large Employer in 2017, as voted by employees and selected by an independent committee. Howard’s passion and dedication to volunteerism is what helped to start his career in banking nearly 35 years ago as a teller for Peoples’ United Bank. As he continued to succeed in his career, he always remembered that success came from his roots in community service. Howard has been recognized by numerous organizations for his dedication to community service and volunteerism. He is a recipient of the Hartford Business Journal’s Lifetime Achievement Award and most recently received Middlesex United Way’s Leadership Award. Gingras will be creating a search committee comprised of board members to find Howard’s successor. Established in 1825, Liberty Bank is Connecticut’s oldest bank, with $4.8 billion in assets and 55 banking offices throughout the central, eastern, shoreline and western areas of the state. As a full-service financial institution, Liberty offers consumer and commercial banking, home mortgages, insurance, and investment services. Named as a “Top Workplace” by the Hartford Courant for six consecutive years, Liberty maintains a longstanding commitment to superior personal service and unparalleled community involvement.